Dec. 12, 2017, 10:34 a.m.
Buying land in PNG: to buy or not to buy? It is no secret that Papua New Guinea real estate is quite luxurious. Be it renting or owning your own property, one would have to earn a pretty good salary to meet the costs of having a roof over their head. With skyrocketing real estate prices, more and more people are looking towards purchasing land to build their own homes. Of course, buying land would seem to be a perfect alternative to renting in a market that thrives on the law of demand and supply. However, buying land in PNG can be fraught with danger given Papua New Guinea’s unique land ownership system and laws. In this article we explain the potential pitfalls for land buyers and how to avoid common mistakes when buying land. With the recently introduced first home ownership loan scheme by the O’Neill Government and Bank South Pacific (Click Here for FHOS eligibility criteria), more and more people are considering buying land to build their homes as opposed to buying and renovating an old home. However, there is just one problem with buying land in PNG; all land is customarily and communally owned. What most Papua New Guineans and foreigners continue to forget when “purchasing” land is to ask the important question of “Is this land owned by any landowners?”. Given 90%+ of PNG land is customarily owned, it is always apt to do a background check on prospective land that is being offered for sale as it could pose future problems for the buyer. For one thing, buying land that is customarily owned could see the possibility of the land being later reclaimed by landowners. The situation at hand today is that many landowners are offering their land for sale. This is due to the high demand for land to build accommodation. Moreover, the pressure to sustain one’s livelihood as a result of increasing living costs has compelled Papua New Guinean landowners to look for means to survive. Thus, landowners are selling land. The dilemma in doing so is that the land being sold is not only customarily owned but also belongs to a clan. Furthermore, any land being posed for an auction must be based on a collective agreement amongst the clan members. Unfortunately, land owners often do not obtain the consent of all clan members to conduct a sale. Instead, one clan member will put land up land for sale without the consent and agreement of other clan members. Consequently, this leads to the issue of reclamation where although the buyer has made a transaction with one clan member, other clan members may still wish to take their land back. What makes this an even messier situation for the buyer is if he or she is already in the process of building their property and landowners still wish to reclaim their land. 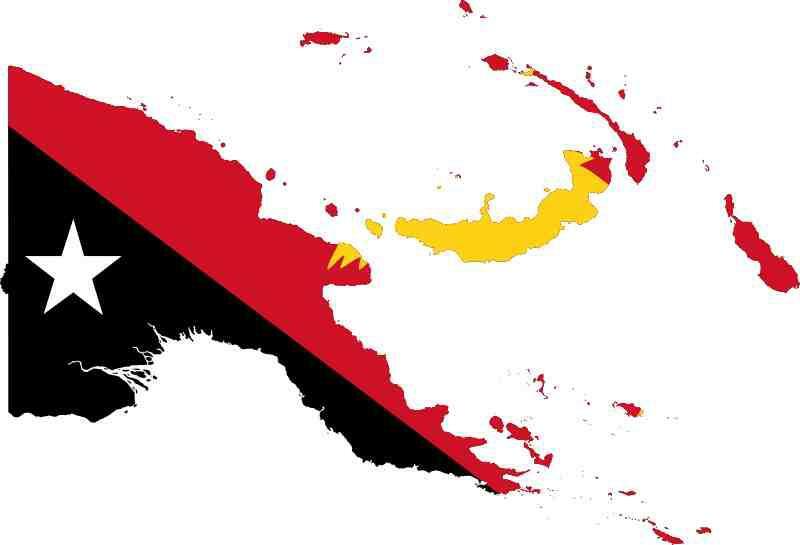 Thomas ToBunbun, a former diplomat and manager of corporative societies, stressed that the purchasing of land in PNG will continue to be a problem for buyers. It would seem that the ideal alternative for buyers would be to purchase land owned by the State. But even then, there is no guarantee that buyers will not run into the occasional run-in with landowners. “Even today there is a cloud hanging over state titles over land that used to be customary land,” explained ToBunbun. Ken McArthur, an Australian who has lived and worked in Madang’s real estate market for around 10 years, shared the same sentiment as ToBunbun. He stated that even with the purchasing of state land, there is the challenge as to who is the rightful owner of the land. McArthur stressed that this was due to Papua New Guineans having an attachment to their land. There is no exact remedy to avoiding the issue of land reclamation and compensation demands from landowners. However, like ToBunbun and McArthur, Brian Hull Executive Chairman of Century 21 Siule Real Estate warns people to not be hasty when buying land in PNG, particularly customary land:.